Want to know how to save money without changing your lifestyle? …started cooking more at home and eating out less. …been religious about turning off all the lights, trying to save on the electric bill. All that effort, and you’re still looking at a pile of Lincoln pennies, when you were really looking for a stack of Benjamin bills. Yes, those pennies eventually do add up, but it’s slow going in the Savings Lane. It’s going to take a LOT of sacrificed coffee to plug the budget hole. Let’s be honest, at some point you’re going to crack and order that Trenta Mint Mocha double-espresso with whip…and all those hard-saved pennies will end up being adopted by Starbucks. Let’s talk about your cell phone bill for a moment. I see you there, clutching that phone to your bosom, terrified I’m going to tell you to DITCH YOUR ONLY COMFORT. Well, rest easy and clutch away. I’m not going to tell you to downgrade to a flip phone. Truth is, we’ve moved past “cell phones are luxury items.” These little computers are a necessity. The trick then, when learning how to save money on your cell phone bill, is not to restrict your usage (because, let’s be honest, that’s not happening), but to open your minds to a new business concept: That it’s possible to go with a smaller, less expensive company, and get the same service! That’s because, these smaller companies use the same lines as the big companies, but have the lower overhead that enables them to charge a LOT less. It’s like shopping the off-brand at Aldi. Same exact product, different label. Need an example? Using Tello will give you full access to the Sprint Network for data, unlimited calls and unlimited texts at a fraction of what a regular Sprint contract would cost. Let’s figure out exactly how much money you could save going the “smaller company, same service” plan of budget attack. In a new tab, open your current cell phone account or open their app. Look at the amount of data you used up this month so far (or total last month). For me, that was about 3GB. Now, click here and select that amount of data on the Tello network (along with unlimited texts and calls). The math says switching to Tello would save me about $41 a month or $493.56 a year. That is a lot of Trenta Mint Mochas! So, did I switch to Tello? No. Why? Because we purchased three new phones on contract with Verizon (family plan) ONE MONTH before I started talking with Tello. ARGGGHHHH! We have to pay those contracts off before I can make the switch. If you need more than $500 in savings to motivate you to take another strong look at Tello, let me share three other reasons why parents are loving this service. Tello lets you customize exactly what you need. Look through their plans and choose exactly the data, call, and texting amounts that fit that phone’s need best. Then make adjustments as you go. What if you want a “home phone” stuck in a drawer charged for emergencies? You have wifi at home, so you don’t need data. You don’t even need unlimited talk and texting on that phone. You could select “no data, 100 minutes, free texts” and pay $5 a month for piece of mind for you and the babysitter. Or, on the other hand, what if you want to give your kids an older phone for games on the go but don’t want them accidentally calling Tahiti? Just create a plan that removes all calling/texting and just pay $7 a month for the data. $7 a month, and you can keep your kids occupied in the car without using your phone. WIN! Call me old-fashioned, but I like knowing that I can call and talk to a person when things break. No endless phone lines, or “call backs” in 60 minutes. I want to describe my issue, then have a real person tell me how to fix it. Another benefit of a smaller cell phone service! Real people that can fix your problems real fast! At some point, you’re going to look at your child and realize that you’d feel a whole lot more comfortable if there was a phone rattling around in her unicorn backpack, tracking her little steps, and keeping her a phone call (or text) away. Tello not only offers inexpensive plans by piggy backing on the Sprint Network, they also have a variety of refurbished (or even new) phones for you to choose from. So you can buy that $59 Prestige 4G phone without panicking every time she drops, steps, or jumps on it. Months ago I sent out a “call to aid” to all our Mighty Moms subscribers and asked if anyone was interested in taking the Tello phone service for a test drive. I really want you to give Tello a try. (Really.) So I’ve reached out and asked what kind of discount they could give my peeps. And I wasn’t going to roll over for some 5-10% discount, no sirree! I pushed hard and walked away with a 15% off coupon for you to use. Click here to check your coverage area. Figure out if your current phone is compatible with Tello’s service or if you should consider a new one. Select the $14 plan for unlimited talk&text + 1GB data here. Finish checking out, but be sure to use the code 15OFFAFF to save 15%. Download the MyTello App on your phone. It will help you track your usage, give you easy access to customer service, and make any changes to your plan easy-peasy. The sooner you sign up and get started, the more money you can gather up at the end of the year. Give Tello a test drive. It’s the American Way! The best place to do that, in regards to your cell phone bill, is Tello. Tello gives you the 4G data network you need and the phone and texting you rely on, all for about half (or more) of your monthly costs. Sign up, my friend, and watch those pennies start to pile up. Trenta Mint Mochas for everyone! 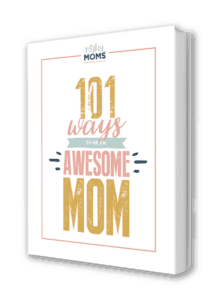 I want to say thanks to Tello for sponsoring this article and letting a select group of Mighty Moms subscribers (self included!) not only try the service for free, but also even providing them with a free phone in order to do so. You guys really went above and beyond to make this trial run as smoothly as possible! Thank you!